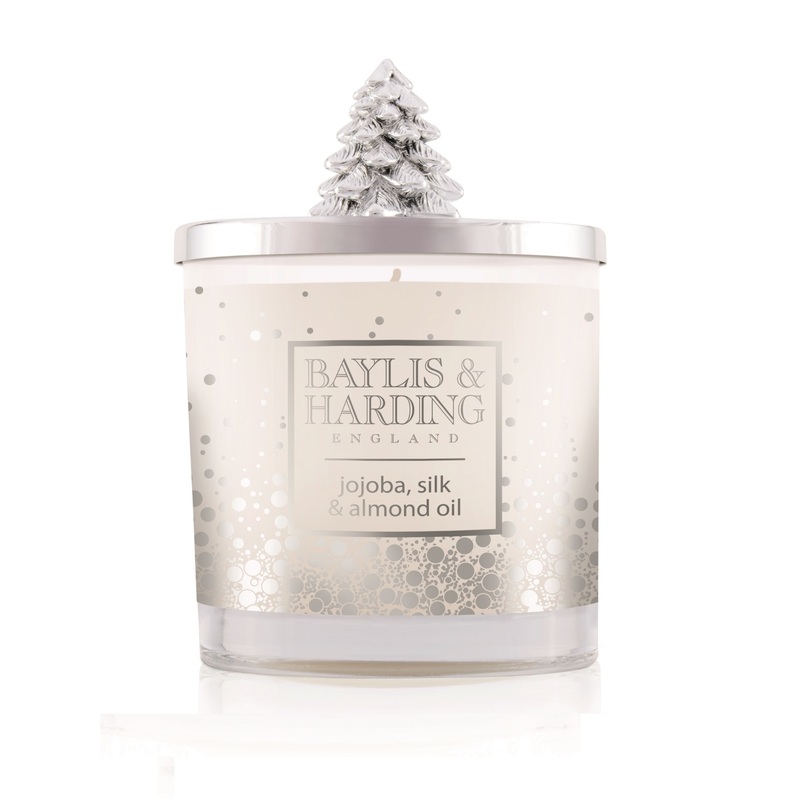 Baylis & Harding's Jojoba, Silk & Almond Oil Luxury Scented Candle with Decorative Lid makes a stunning gift for Christmas. The large single wick candle, with its sparkling silver-frosted jar has an impressive 30 hours burning time. The warm, comforting infusion of Jojoba, Silk & Almond Oil provides an intensely relaxing ambiance to any room. The jar comes with a gorgeous silver-coloured lid with a striking sculptural Christmas Tree design. This is a gift that will appeal to all ages and is sure to be a favourite with anyone lucky enough to receive it this Christmas. Buy with Confidence from a Baylis & Harding Authorised Dealer and All Purchases come with a VAT Receipt.